Chills360 Ice Cream is Dallas’s first establishment serving Thai-inspired ice cream rolls. This concept was created on the streets of Thailand, serving fresh, made-to-order ice cream. At Chills360 each individual ice cream is made with the freshest ingredients right in front of your eyes, meaning no preservatives or stabilizers are added. It’s ice cream in its rawest form — fresh off the plate. Nothing tastes better than fresh homemade ice cream that is made right in front of you. At Chills360 experience the journey of cream to ice cream in less then 2 minutes. Using an advanced cold plate that reaches temperatures well below -16°F, the ice cream produces smaller ice molecules to make it naturally smoother and creamier, eliminating the need to add in additional fat and emulsifiers to create the same rich, creamy texture we love in ice cream. Looking for Ice cream at a party? At Chills360 we will work with you to create a unique ice cream experience that you will never forget. We know every event is special, whether it be a corporate event, wedding, or Bar/Bat Mitzvah, and we will handcraft the ice cream event of your dreams. We have a wide range of flavors that you can choose from and we can work with you to invent your own ice cream creation. We provide a full service staff that will roll up all the ice cream for you and even give you an opportunity to make it yourself. Have You Been Looking for a Rolled Ice Cream Franchise Opportunity? Are you searching for more information on a rolled ice cream franchise because you want to run your own business? Have you been looking for a new career path because you want to make a positive difference in the world? 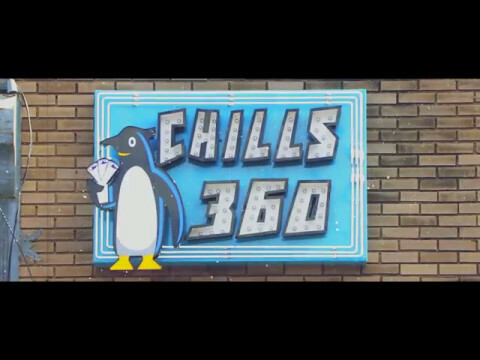 Chills360 may be the right franchise for you. 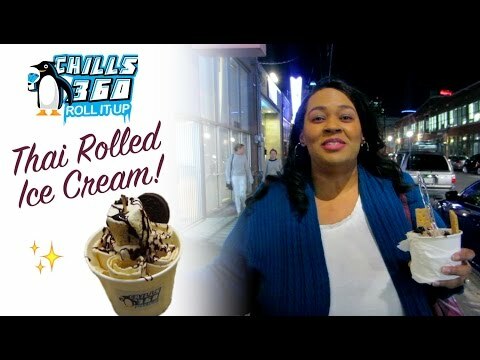 Chills360 is a rolled ice cream franchise that serves a delicious rolled ice cream dessert, but more importantly, we serve up smiles. The success of our business model is evidenced by our tremendous growth around US and our numerous franchise industry awards. Email support@chills360.com for more information on franchise in your city.